The framework for cryptocurrencies and blockchains is constantly being developed to create new possibilities for our economy to thrive through innovation. Essential for the crypto market is the implementation of token systems which are varying in their purpose and usage. The model of utility tokens mostly used for fundraising via an initial coin offering caused a stir in recent years, with many projects forcing a token where none is needed. Now, new opportunities are arising with the adaption of legal implications for another model, the security token. With the goal to render the best service possible to our customers, partners and our community, Blockpit will be one of the first to adopt this model and finds itself amidst the innovators in this field. The emergence of programmable token systems change single value models based on fiat currencies to multi value models, meaning that a token can be loaded with multiple specific values, depending on what rules are defined while programming the token. Thus, tokens can have certain constraints and possibilities in their usage. One can for example specify that a token can only be used under certain terms e.g. as exchange for a certain product. Still, other than traditional fiat currency, the different types of tokens which might have different values adhered to them can be exchanged between each other. Tokens represent whatever is a value within an organisation whereby the purpose of the token defines the type of token. Some of the possibilities for a token’s purpose are tokens as currency, asset, company share or method of payment. We will have a look at two models in this article, utility and security tokens. Basically a utility token enables the holder with access to a company’s product or service. In recent years there have been a multitude of companies issuing utility tokens through an initial coin offering (ICO). As a form of crowdfunding, this way companies raise capital by the sale of their tokens which is used to develop the infrastructure or product of the company. The tokens thus are based on a use case and not designed as investments. A utility token hence may give great profit when the project tackles a real issue and is constantly being developed and improved. This way the token may grow in price if the demand for the service or product increases. The more people demanding a particular token, the higher the price rises and holders may benefit from selling the token on exchanges. The second classification of tokens is the security token. A security token is defined to be a company’s share and therefore designed to be an investment. Depending on the legislature in the company’s country of operation, security token models can be designed in different forms. Dependent on the contract, the security token can promise profit share, revenue share, voting rights or any further combination. The reason for contributors to buy the tokens is the anticipation of future profits. Deriving from the form of investment contract, these profits may be dividends, revenue share or price appreciation. 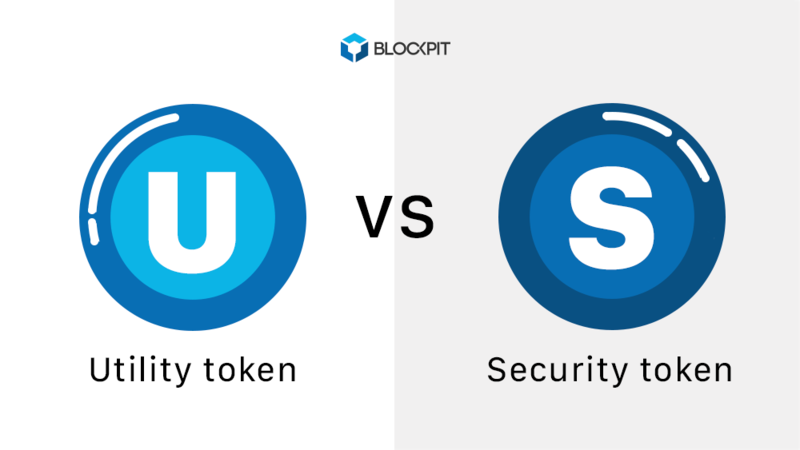 As we see the difference between utility and security tokens is defined through their purpose, either designed to grant access to products and services or designed as investments. Nevertheless, both forms are capable of increasing in value if the price of the token appreciates in the market. In order to define if a token is a utility or a security token, a simple test can be applied to the token model. In the US the Howey test, a test created by the Supreme Court, determines whether certain transactions qualify as investment contracts. Both utility and security token models are legitimate ways of funding in the cryptocurrency market, but subject to different regulations. Recently there have been regulatory advances in terms of security tokens as institutions like the Boerse Stuttgart are creating exchanges for cryptocurrencies. This opens new doors for companies to fund and develop their businesses. After a thorough analysis of security token models in collaboration with several experts we at Blockpit too have decided to adopt this model for our business and will evolve the TAX Token to a security token. While a mandatory Utility Token might act as an entry barrier to the platform, our Security Token allows us to offer the service through more convenient forms of payment, like fiat or various cryptocurrencies. Not implementing a Utility Token also lifts the boundaries to develop the platform in new directions. This provides us with the right resources to improve our services for end users and institutions, opening additional ways to our goal of creating a European standard for crypto taxation. The TAX Token now contains a security feature, namely the promise of revenue share for its investors. Token holders will be rewarded with a part of the total revenue that is generated via the Blockpit platform as, starting with 2019, the tool will be available through a subscription model for private users and a licence model for corporates. Full transparency is one of our key values so we will lay open our revenue stream in real-time backed by an immutable and open Blockchain ledger. 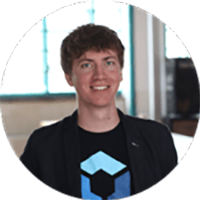 Additionally, the share of revenue promises that the reward cannot be orchestrated by Blockpit as could theoretically be done with e.g. the share of profits. Anybody starting at a defined minimum can support the tool and benefit from its expansion, earning cryptocurrency when people use the Blockpit platform. For any additional information, questions or in case of interest in the security token feel free to contact us at any time via [email protected].